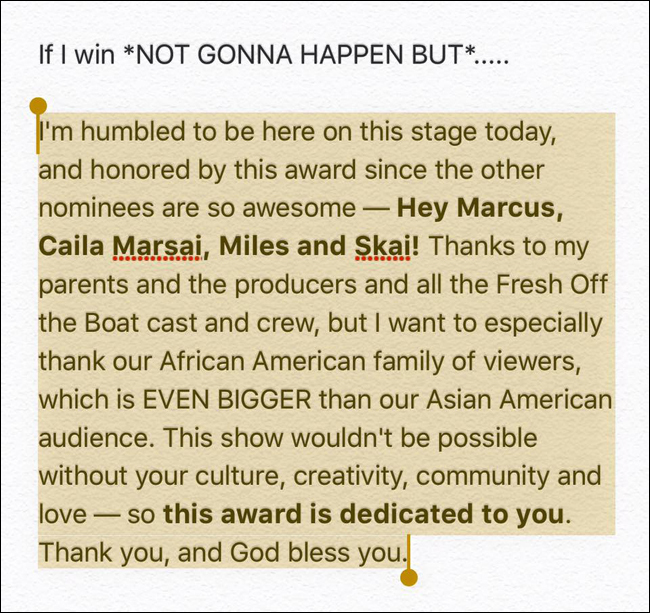 I'm humbled to be here on this stage today, and honored by this award since the ther nominees are so awesome -- Hey Marcus Caila Marsai, Miles and Skai! 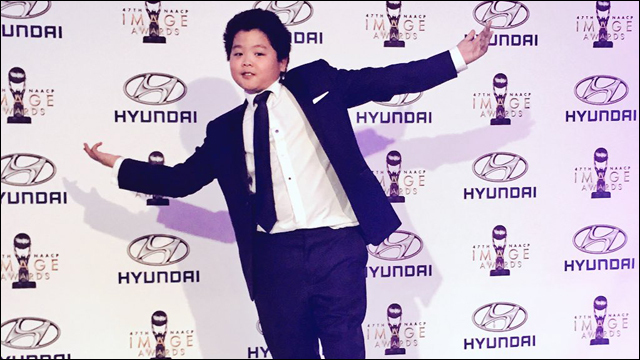 Thanks to my parents and the producers and all the Fresh Off The Boat cast and crew, but I want to especially thank our African American family of viewers, which is EVEN BIGGER than our Asian American audience. This show wouldn't be possible without your culture, creativity, community and love -- so this award is dedicated to you. Thank you, and God bless you. All class, all the way, Hudson. Indeed, as they say, it's an honor just to be nominated.